Use of Leftovers | And sometimes I cook. When J was in kindergarten this was his favorite food. Recipe from Rachael Ray. 1. Heat oven to 350. In a large bowl, beat the eggs. Stir in the mozzarella, tomatoes, basil and parmesan; season with s & p.
2. In a large ovenproof skillet, heat the oil over medium heat. Add the pasta and cook for 1 minute. Pour in the egg mixture and cook until the edges begin to firm up. Using a wooden spoon, draw the cooked egg edges toward the center of the pan, letting the raw egg run to the perimeter of the pan. Continue until the frittata is almost set but still slightly runny in the center, about 4 minutes. Transfer to the oven to finish cooking, about 10 minutes. Remove from the oven and let sit for 5 minutes. 3. 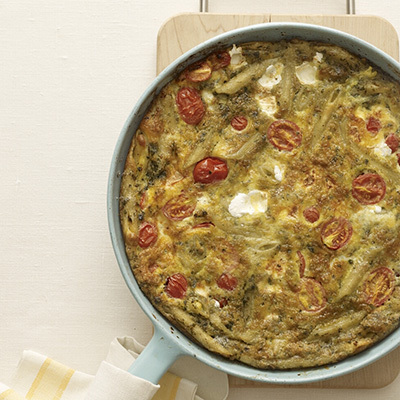 Using a rubber spatula, loosen the edge of the frittata. Cut into wedges and serve hot or at room temperature. 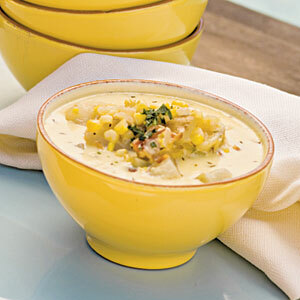 In a medium saucepan heat cream cheese over medium heat to soften; blend in corn and milk. Add turkey & peas; heat through. Season to taste with black pepper. Makes 4 (1/2 cup) servings. Saute onions in butter. Add flour & salt to make a roux. Slowly stir in broth and stir until it is the consistency of gravy. Add chicken & vegetables. Stir until heated through. 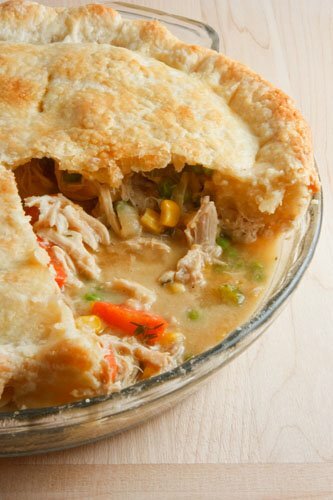 Place into pie crusts, remembering to slice vents into the top crust. Freeze one & bake the other at 350 for 45-60 minutes. *Variation: Exchange the chicken for leftover beef roast & the chicken broth for beef broth. *For extra flavor: Cook a whole chicken (or pot roast) in the crock pot & save the fatty drippings to use in lieu of the broth.